Ask one of the Best Pain Management Doctors in New York City, Dr. Michael Monfett on how to treat back pain, sports injury & pain conditions non surgically! The answer .. through therapeutic pain relief techniques and lifestyle changes that relieve pain and improve function. The principle behind pain therapy continues to grow, as pain specialists like Dr. Monfett take a more integrative approach to musculoskeletal conditions. In order to effectively reduce pain and improve mobility, pain specialists must consider an individual’s health. Patients complaining of low back pain, may require physical therapy and rehabilitation of the spine. Injury from a car accident, sports injury, work injury, arthritis, posture, and an individuals overall physical health play a huge role in the effectiveness of any treatment. Pain specialists at Skyline PMR in New York City, (Manhattan) work in conjunction with primary health doctors, pain experts and surgeons to treat patients with musculoskeletal pain. Additionally, non-drug therapies such as ice/heat, massage and acupuncture are used. Relieve pain, promote better function and movement through pain management care at Skyline PMR. Skyline PMR will examine, diagnosis and develop a treatment plan for pain management. Dr. Michael Monfett understands pain physiology, terminology, classification, history-taking, physical diagnosis and treatment planning. All necessary areas of pain management that evaluate the comfort, stress, distress, and pain of the patient in order to determine a treatment plan. Exercise has proven to relieve pain Improve functions suggesting that exercise play’d a major role in the management of chronic LBP. These types of strategies work great when treating joint pain and stiffness due to osteoarthritis. For patients with disease and disorders combined, these strategies are part of a customized pain management treatment plan that considers their unique needs. Call The Board Certified Pain Specialists At Skyline PMR Today! Poor workplace posture is a major cause of back pain, workplace stress. Federal employees, workers, anyone really suffering pain can consider seeing a pain specialist for pain relief. 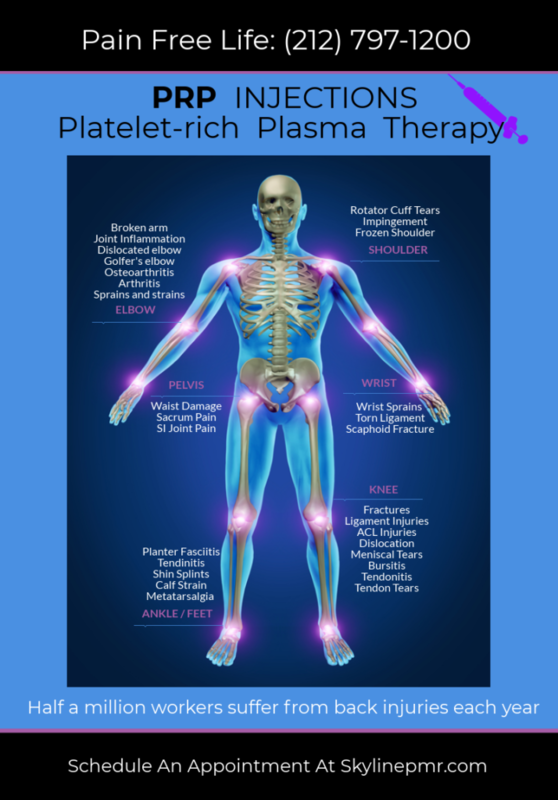 Chronic pain patients look to physical therapy, Botox, PRP injection therapy as pain treatment options. Everyone’s pain management care is different. The objective in the end will be to relieve pain and improve function. https://www.ncbi.nlm.nih.gov/pubmed/15062718 – Effective physical treatment for chronic low back pain.